Denis Villeneuve has officially set a cast to match the sheer magnitude of a new Dune adaptation, along with confirmation that the film’s production is officially underway, Warner Bros. and Legendary announced Monday. 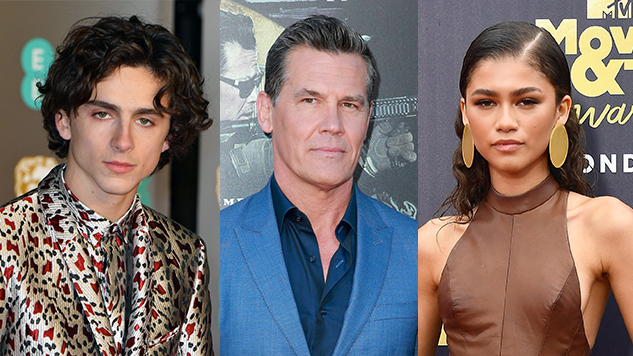 Timothée Chalamet’s portrayal of Paul Atreides will be accompanied by Rebecca Ferguson, Oscar Isaac, Josh Brolin, Stellan Skarsgård, Dave Bautista, Zendaya, David Dastmalchian, Stephen Henderson, Charlotte Rampling, Jason Momoa, Javier Bardem and Chang Chen. It’s also been revealed that the epic will be scored by Oscar winner Hans Zimmer. The adaptation will be directed and co-written by Villeneuve, and is envisioned as a two-part film by the filmmaker. Dune will be released Nov. 20, 2020. Find the film’s official synopsis below and our primer on everything we know about the latest adaptation of Frank Herbert’s novel here.